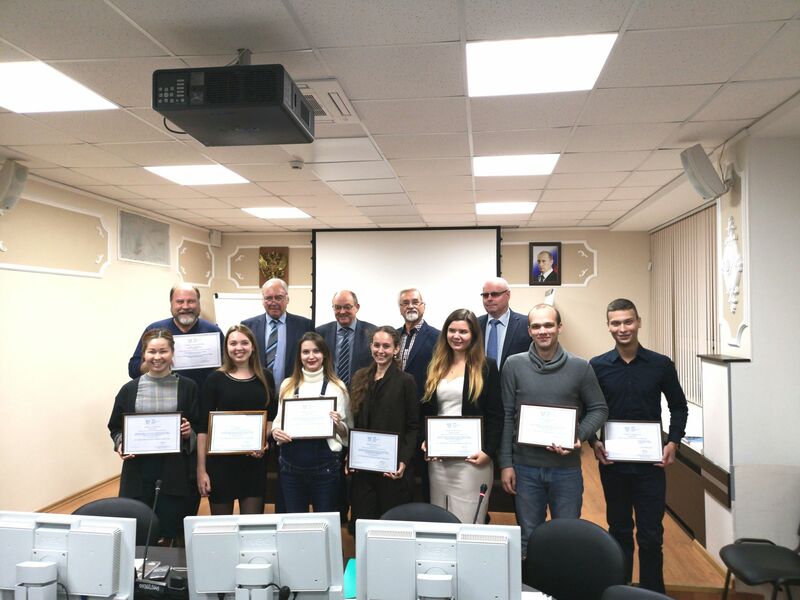 The first 15 students have been awarded a Master’s degree after successful completion of the National Research Nuclear University MEPhI “Nuclear Technology Management” (NTM) programme endorsed by the International Atomic Energy Agency (IAEA) in 2017 within the framework of the International Nuclear Management Academy (INMA). Among the graduates are representatives of Russia, Kazakhstan and Kyrgyzstan. The NRNU MEPhI NTM programme is being implemented by the Faculty of Business Informatics and Management of Complex Systems and the Institute of Nuclear Physics and Engineering. The goal of the programme is to prepare masters with management and technical competencies for successful work in the sphere of state and corporate governance, international cooperation, engineering and reengineering of business processes in the field of advanced nuclear energy technologies. On September 25, 2018, the ceremony of IAEA certificates delivery to the programme graduates took place at the NRNU MEPhI. The ceremony was attended via videoconference by Dr. Huang Wei, Director of the IAEA’s Planning, Information and Knowledge Management Division and Dr. Oswald Glockler, INMA Program Manager. The upcoming General Assembly of the regional network STAR-NET, which will be held in November this year, will consider cooperation in the implementation of the INMA NTM program by member universities – such cooperation may include joint implementation of the programme, exchange of teachers and students.